Looking to Celebrate something? Birthday, Anniversary or Passing your driving Test? Christmas Party Celebrations or maybe just want to have a private party with family and friends? 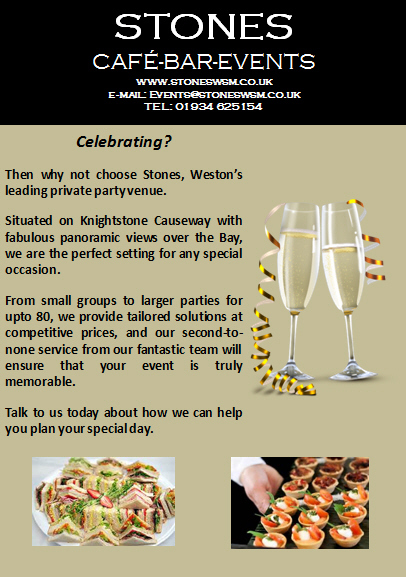 Then why not make Stones Cafe-Bar-Events your next event venue in Weston-super-Mare. 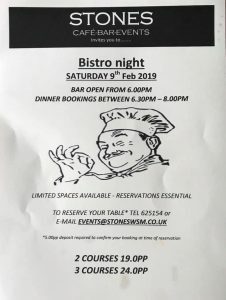 At Stones we cater for up to 80 guests, with a licensed Bar and ample rooms for Live Music Entertainment, DJ and much more. We are also able to provide food, hot or cold and drinks on arrival if requested. Contact our Professional Staff to check for available dates.